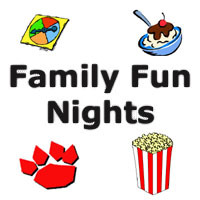 Beginning with an Ice Cream Social and Game Night in September, HWES holds Family Fun Nights that are typically FREE to the families of HWES. There are Movie Nights in the gymnasium where all you have to do is bring your sleeping bag (or chair if you prefer). The game nights bring families together to play board games. In May, we will have a Family Fitness Night! If you’d like to help out, email familyfunnights@homesteadwakefield.com. Our first event of the 2017-2018 School Year is the Ice Cream Social on October 3 in the Wakefield Cafeteria! More information to be posted soon!